I don't believe there is any tree better at showing up the delicate tracery of hoar frost than the silver birch tree. 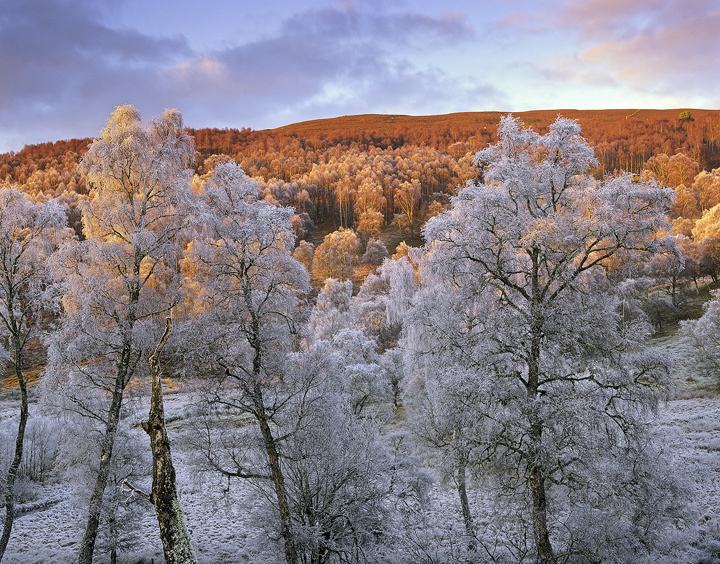 Fortunately for me there are a great many of these trees around the Spey valley, which has a tendency to harbour freezing mist. This particular selection were on a slope, whereas the valley retained it's frosted coat, the slopes received some weak sunlight and where it has melted, the abrupt change of colour from blue to rich reds produces a glorious palette of intermingled colour.